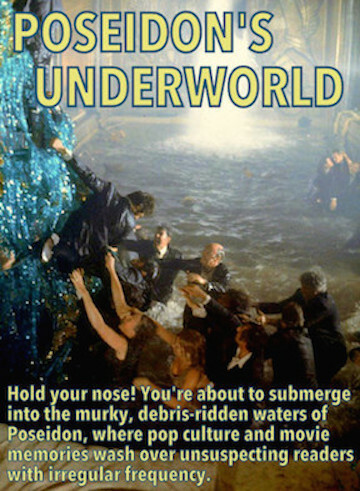 The Underworld has been a busy place, once again, with excessive work commitments, another theatre adjudication to write and some unfortunate health issues (which, hopefully, will be on the road to resolution in the next 48 hours!) I tried to frontload the month with three posts in swift succession, hoping I could knock out another one soon after, but it just didn’t happen. So anyway, enough about me! It’s October and time to scare up a post or two about something creepy and unsettling. (Don’t worry. This is not a post about Tom Cruise.) 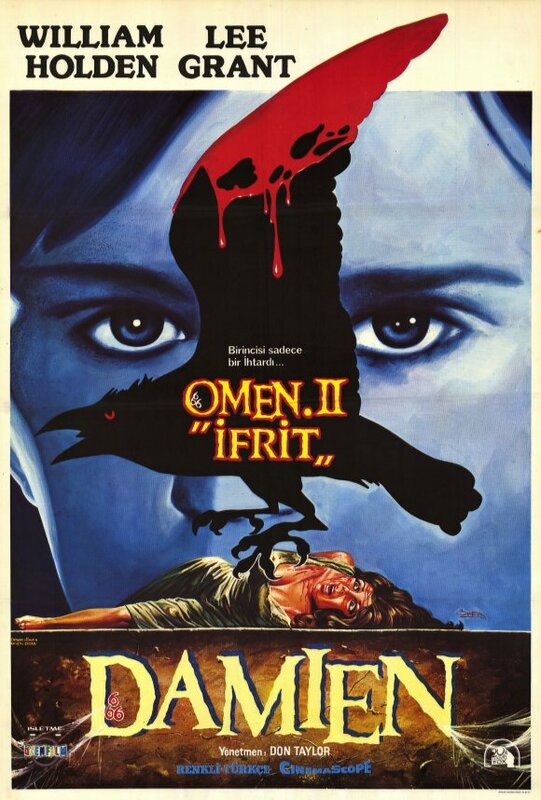 One of my favorite guilty pleasure horror movies is 1978’s Damien: Omen II. A sequel to the blockbuster hit The Omen (which starred Gregory Peck and Lee Remick as parents to a toddler who is The Antichrist), this movie takes place about seven years later and stars William Holden and an Underworld fave, Miss Lee Grant. The cuddly little monster from the first film has grown up a bit into early teenage Jonathan Scott-Taylor and resides with the late Peck’s brother Holden, Holden’s wife Grant and his son Lucas Donat. A prologue shows one of the first film’s stars (Leo McKern) frantically racing to see something called Yigael’s Wall at an archeological dig, the wall supposedly depicting the face of The Antichrist at various developmental stages. When he and his associate witness the toddler Damien’s visage on the artifact, they are involved in a sand-riddled cave in before they can share what they know. The story then picks up at Holden’s estate, a beautifully appointed mansion that, in this film, is also a winter wonderland. 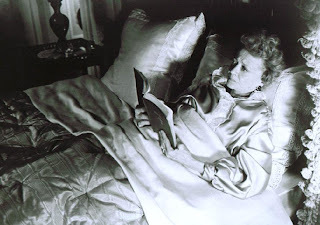 There for a visit is Holden’s Aunt Marion, the crotchety Sylvia Sidney, whose every raspy breath and craggy line reading is a treasure to behold. She (wisely) doesn’t trust Scott-Taylor at all and dislikes the effect he has on her beloved nephew Donat. In a hilarious dinner table scene, she and Grant have an enmity that is palpable and she swiftly tosses Grant back into her place. 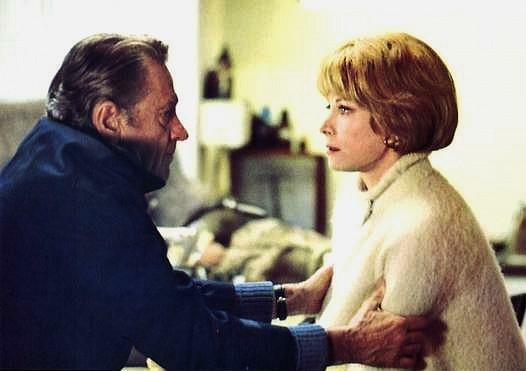 Sadly, this gorgeous bit of rivalry is cut short when Sidney receives a visit in the night from an ominous black crow! Why, why, WHY did the writer have to remove the crusty and fretful Sidney from the storyline so soon?! I want more animosity and bickering from Grant and her… Note the way a shiny metal bird in the middle of the table forshadows the coming of the crow! People can go on all they want to about the luxury and glamour of tumbled marble and slate flooring. In The Underworld, the lanai is paved with tiles bearing a pattern of the deceased, rigid corpse of Aunt Marion (Sidney), enjoying her eternal rest. This way, her scarlet lipstick etched face is never too far out of reach. At Holden’s multimillion-dollar chemical company, a lot of drama is taking place as well, with old guard senior manager Lew Ayres battling the ambitious Robert Foxworth over the direction of things. 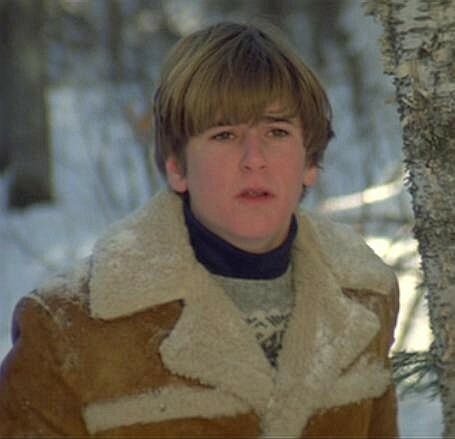 In a memorable scene, Ayres pays the price for not going along with Foxworth’s plans when he falls beneath the ice of a partially frozen lake. His panic-stricken body is shown floating under the ice as skaters playing hockey frantically try to break it open and let him out. This is a gripping scene, made more meaningful by Holden’s panic and remorse. There is foreshadowing here, too, as Foxworth talks about putting his project "on ice" and Donat's birthday cake is in the form of a lake that must be cut into. 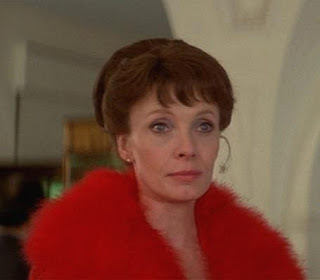 Then there’s Elizabeth Shephard, a crisp, British journalist (in the reddest coat ever to be placed on film!) who’s hot on the trail of Damien and who wants to warn Holden about the type of boy he has in his household. 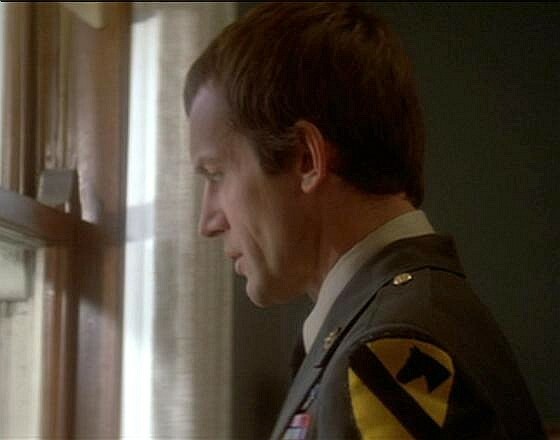 She heads to the military school and, once she has seen Scott-Taylor’s face, freaks out, hurriedly driving back to town. Her car stops on a seemingly deserted road, but once she gets out, there’s our old friend the crow again! He does a Tippi Hedren on her, clawing at her hair, face and eyes as she flails about helplessly. After she’s been roundly assaulted by the evil beast (as harrowing Jerry Goldsmith music throbs away), she struggles to her feet only to find a massive truck hurtling towards her at full throttle! Deaths continue to pile up. During a school tour of Holden’s company, two of the chemists are fatally injured in a fume-spewing explosion. All of the boys are hospitalized with minor injuries to their lungs, but Scott-Taylor is completely unaffected. When his blood work is scrutinized by a doctor (future Designing Women costar Meshach Taylor in his movie debut), evil forces dictate that the doctor not be allowed to disclose what he’s found, resulting in a particularly nasty and unforgettable demise for him as well. Holden’s once-close friend, Nicholas Pryor, also finds out Damien’s secret and, in light of what has happened to so many others, begins to freak out, resorting to keeping religious iconography all over his room and person. Like others, he tries to warn Holden of the danger, but Holden is stubbornly reluctant to believe any of it (at least for the longest time.) It takes yet one more incident before he will agree to examine the evidence against his nephew. In case you haven’t guessed it, very few of the primary actors in the movie wind up making it to the end credits! The film takes pleasure in dreaming up inventive ways to bump people off. Where The Omen was starkly serious and more threatening in tone, this sequel takes things a little further in the gore department and occasionally winds up being unintentionally funny thanks to its own squalor. It is undeniably entertaining, however. One thing that helps add some dimension to the proceedings is the fact that Scott-Taylor has no idea at first that he is a child of Satan. He wants to be a normal boy. Eventually, he has no choice but to face what he is (a fact he discovers in a memorable bathroom mirror scene, followed by a desperate race through the woods in a fruitless effort to escape his fate.) The producers, smelling money in the prospect of yet another installment, adjusted the ending to make sure Damien could return and, in fact, he did in the form of Sam Neill three years later in The Final Conflict. (Oddly enough, even though only three years had passed in between films, Damien was now a grown man!) 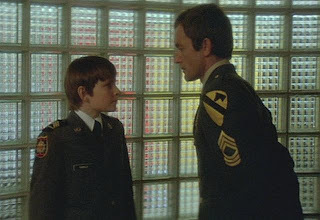 This film provides a hint to the sexual power Damien will eventually possess when he is swarmed by a bunch of teen girls in their best 70s 'dos at a graduation cotillion. 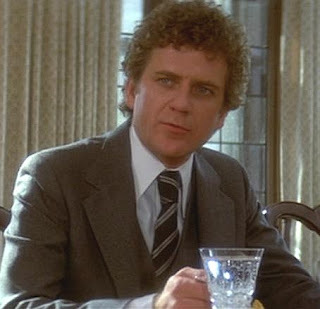 Scott-Taylor (a blond whose hair was dyed for this role) worked as an actor for about another decade until retiring from acting to become a lawyer. Can you imagine being in court with DAMIEN as your attorney?! He does an excellent job here, able to express the many facets of his conflicted character. A more interesting backstory is Lucas Donat. 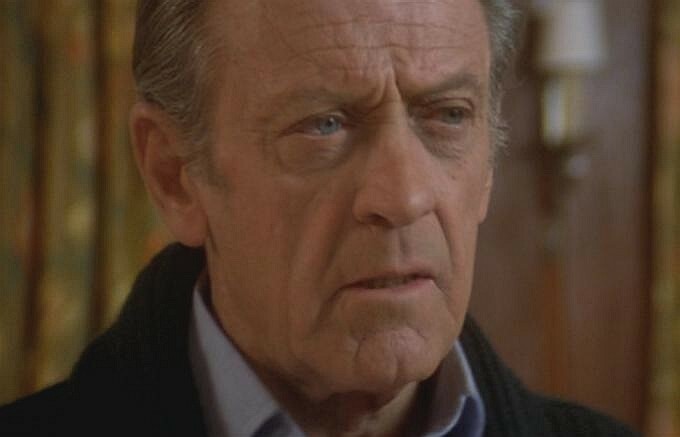 He never made another film or even appeared on TV despite being the son of busy character actor Peter Donat and The Waltons’ Michael Learned! He went on to help found an advertising agency that is responsible for all those eharmony.com commercials. 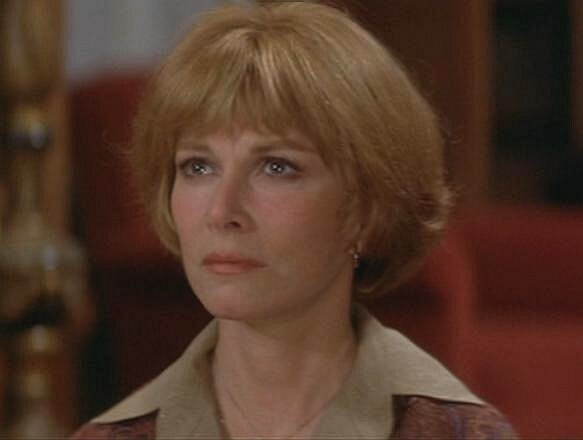 Even more fascinating is that through his wife, who he married in 1984, he has as his mother-in-law Helen Reddy!!!!! Holden had been offered the leading role in The Omen, but turned it down. After that film’s stunning success, he didn’t hesitate when asked to be in the sequel. 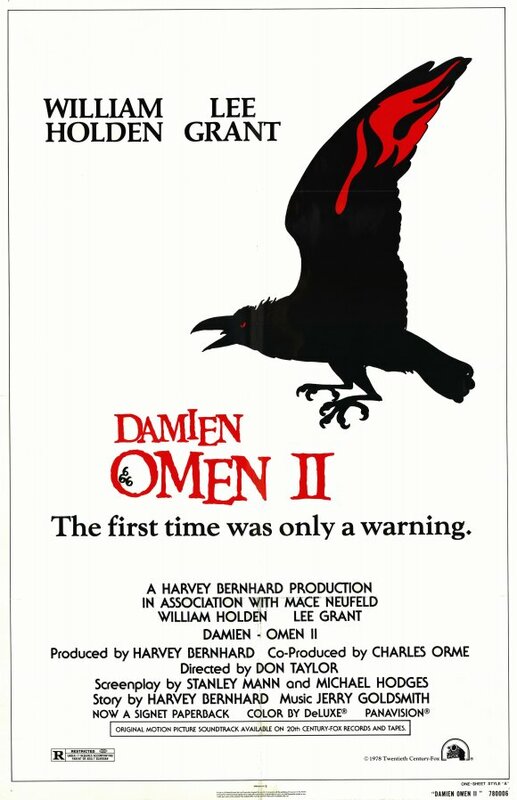 (The Omen cost $2.8 million to make and grossed over $60 million… This sequel cost $4 million and made over $26 million, not as successful, but certainly not a failure.) He was only about 60, but looked every inch of that and more thanks to some hard drinking and smoking. He had also picked up a liver ailment in New Guinea shortly before filming began. Sadly, he would die in an alcohol related fall in 1981. Grant had been a big fan of the first film and was also eager to get in on the action. She was riding the wave of success that had come from her 1975 Supporting Actress Oscar for Shampoo and nomination the next year for Voyage of the Damned, winning top-billed roles in several projects. It was a small wave, however, and before long she was back to supporting parts. (To help indicate Holden’s physical decline, she was only nine years younger than him in real life, despite looking far younger.) As I’ve indicated in my previous tribute to her, she is marvelous in this movie and has a scream at the end that is wondrous. She essays her role here perfectly. Foxworth (who was Elizabeth Montgomery’s live-in lover from 1973 until their marriage in 1993, two years before her premature death from cancer) was in Airport ’77 with Grant the prior year. 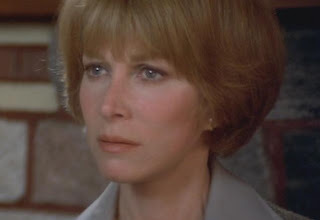 He wasn’t able to become a leading man in the cinema, but made a strong impression on Falcon Crest for the first several years as Jane Wyman’s chief antagonist. Always an outspoken persona, he eventually quit the series when he disagreed with the direction of it. He has become chiefly involved in voice work for animation lately. Lew Ayres, of course, is notable for having starred in the classic 1930 film All Quiet on the Western Front and the later Johnny Belinda, for which he earned a Best Actor Oscar nomination. His pacifist beliefs raised some eyebrows during WWII, but he did serve in the Medical Corps (following a sticky situation in which he first was denied that right and briefly did Civilian Public Service work.) From 1934 to 1940, he was Mr. Ginger Rogers! This was his final feature film. This was an early role for lean, stern-looking Henrickson (who, as a runaway at age 12, didn’t learn to read until he was 30.) 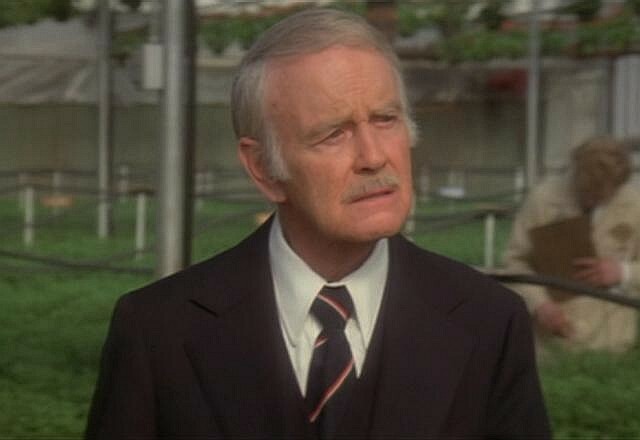 He’d had small roles in three major films before this (Dog Day Afternoon, Network and Close Encounters of the Third Kind) and would go on to a very busy career as a character actor in such films as The Right Stuff, The Terminator, Aliens, Alien 3 and the Underworld classic Color of Night! Note how foreign posters for the film (as always) demonstrate a far more vivid and garish approach than the more austere one that U.S. moviegoers saw. 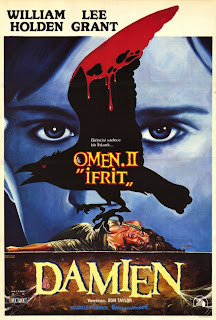 Spanish posters included shots of Holden and Grant within the wing of the crow while the American poster was far more plain. This one is completely different in concept and, with the scantily clad victim on the ground, almost suggests a whole other film altogether! The plotline of the movie doesn’t really hold up to very close scrutiny, but it’s a pretty entertaining way to kill (and kill!) almost two hours. Cinema of the 70s was rife with paranoia about satanic possession, devil worship, cults and so on. I always say I’m not afraid of Satan, but I am afraid of the fanatics who are devoted to him. (The same way any sort of freaked out cult or gang scares me.) People can get really warped sometimes if they become involved in something diabolical and have immersed themselves into all the related gobbledygook. The damage they do when under that influence is real, regardless of whether what they believe in is true or not! Love this movie--the whole trilogy actually. I read the books as well. Fun stuff! The backstory on Lucas Donat is amazing. I'm kind of surprised you didn't detail the demise of Meshach Taylor, but understand you have to leave a few surprises for those who haven't seen it. His death is crazy-over-the-top! :-) Great review! i love how the son of satan can shatter every taboo known to man, but he can never be gay. 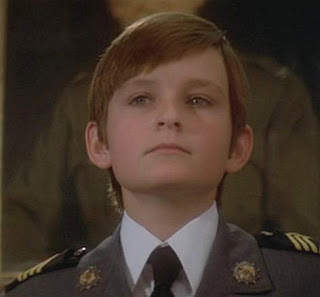 the closest horror ever came to depicting a queer anti-christ was stefan arngrim in fear no evil. unfortunately, i like my gay anti-christ's just a tad bit more masculine when they wear their flouncy see through gowns. if mark is who i have to thank for the ubiquitous eharmony commercials then i retract all the tears i shed at his demise when damien put the whammy on him. Let's Go on an Adventure(er)!